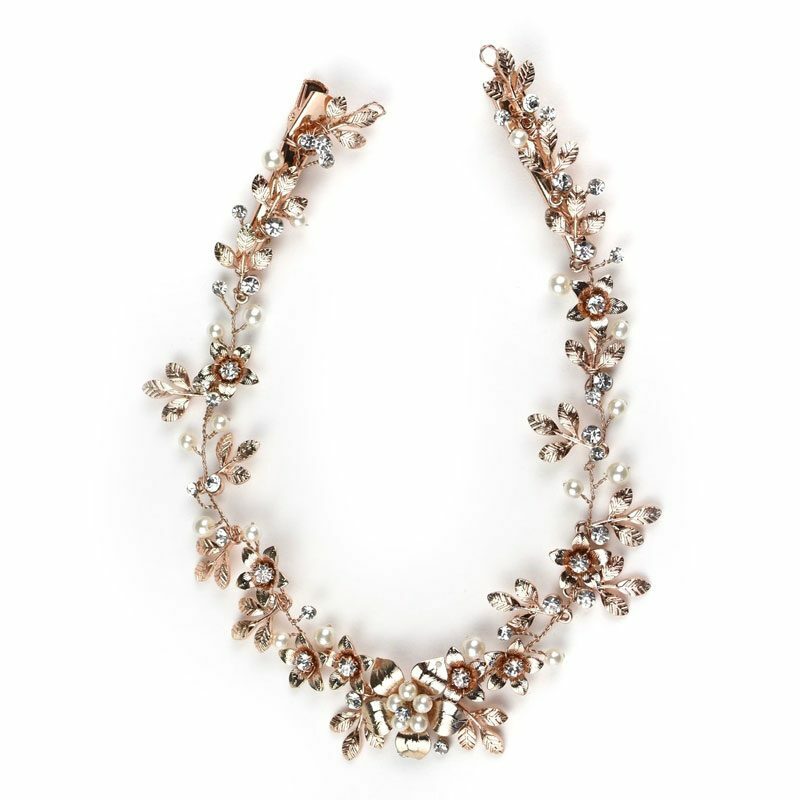 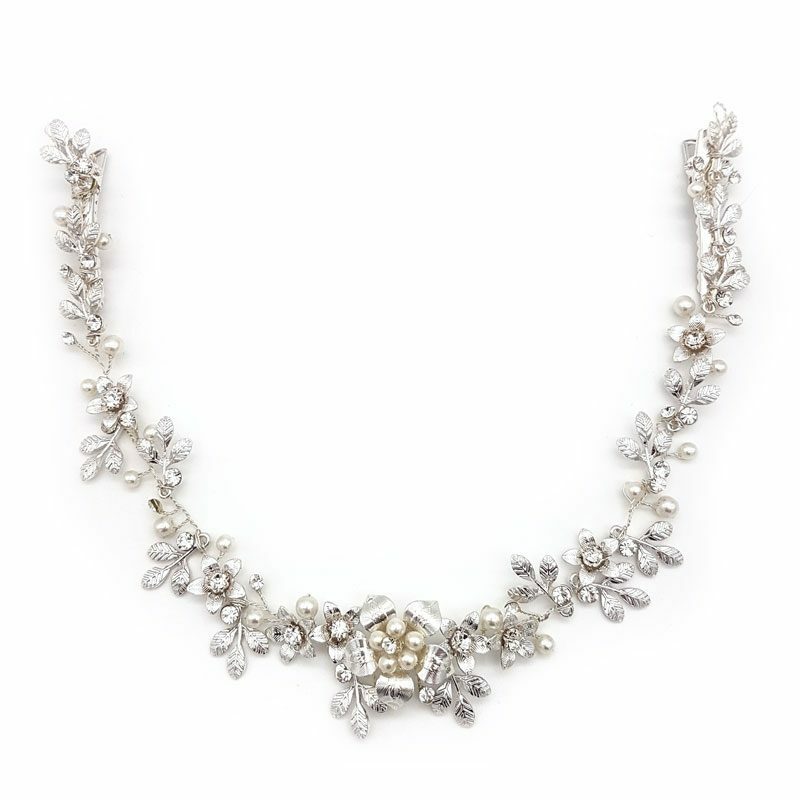 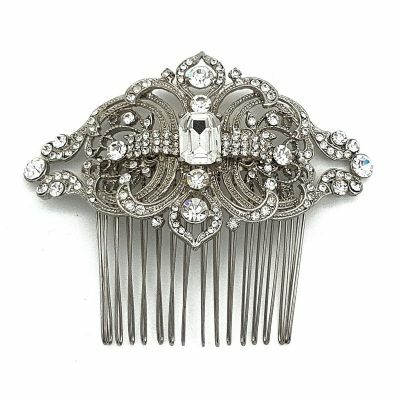 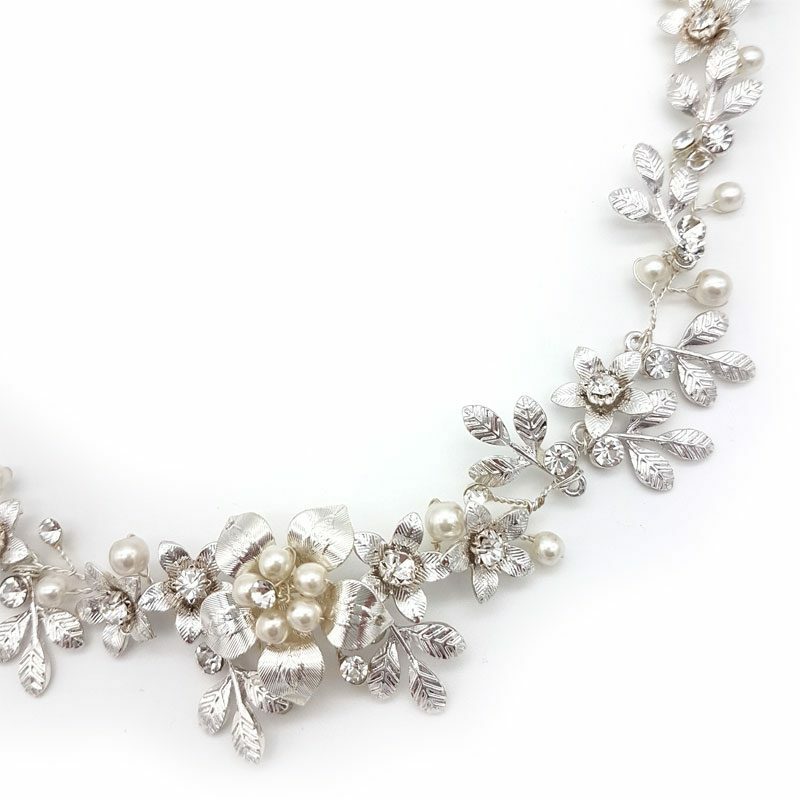 Our ‘Tabitha’ hair vine is simply delightful with intricate floral detailing and finished off with crystals and pearls. 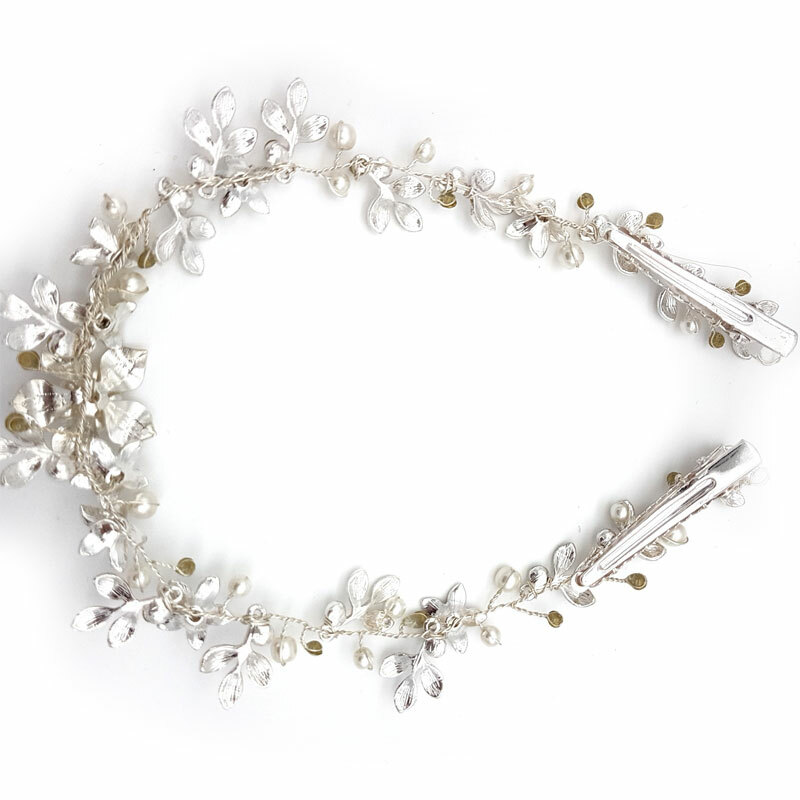 This vine attaches to the hair with solid alligator clips securing firmly to your hair. 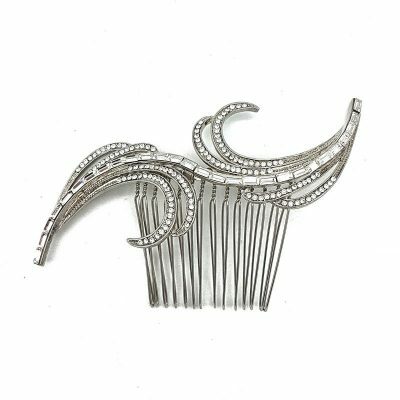 Being made from wire it allows flexibility to work with any hair style you had in mind. 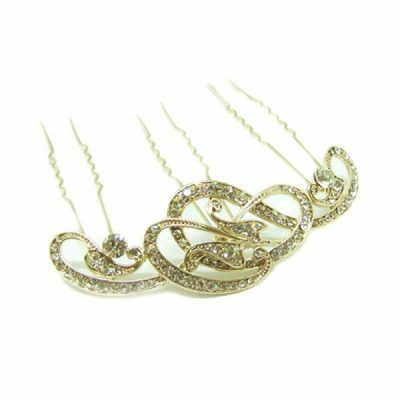 Available in your choice of either silver or rose gold.